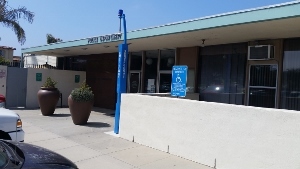 The Torrance Courthouse handles misdemeanor Domestic Violence offenses in three courtrooms (P, 2 and 5) in general. Felony Domestic Violence’s can be heard in many more courtrooms, but usually start in Department 4 on the second floor with Judge Thomas Sokolov, proceed to Department 2, also on the second floor, with Judge Rene Gilbertson and then are assigned to one of several courtrooms and judges upstairs. Which department hears a particular misdemeanor case is determined by where the arrest took place. Arrests in Torrance are assigned to Department P on the fourth floor with Judge George Bird. Arrests in Hermosa Beach and Manhattan Beach are assigned to Department 2, before Judge Rene Gilbertson on the second floor. Arrests in Gardena, Lawndale and Redondo Beach are assigned to Department 5, before Judge Amy Carter. For Torrance Courthouse contact information and a Google Map, please click here. Each department has one or more prosecutors assigned to it. Over time, prosecutors are transferred to other courtrooms. Prosecutors also change in their approach to domestic violence cases, some more than others. Consequently, in presenting the case summaries below, we caution the reader not to expect a similar result because no case can have completely and exactly the same facts and the prosecutors do change. However, the domestic violence results below do help the reader understand how past cases have resolved and what is possible. Please see our domestic violence results, by city, by clicking on the cities listed below and viewing detailed descriptions of each case. Redondo Beach, Domestic Violence, Our Client Gives Husband Bloody Nose with Punch, "No File"